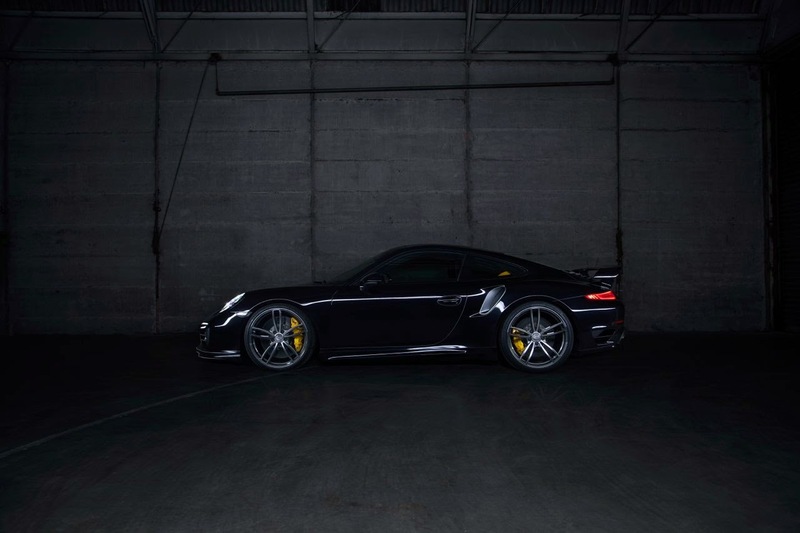 TechArt Porsche 911 (type991) Revealed! German tuner TechArt revealed the first official pictures of its highly anticipated model based on the Porsche 911 (type 991) Turbo. The car will make its public debut at the Essen Motor Show that takes place between November, 30th and December, 8th later this year. 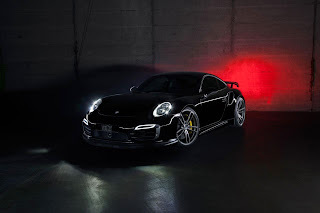 We don't have the full details about the performance enhancements at the moment except for the TechArt sports exhaust system which comes with a valve control system and a TechArt sound muffler kit. But from the exterior, the car features new side skirts, headlamp trims, aero wings and sport tailpipes. All the new body elements are made from a lightweight fibre composite of carbon and polyurethane RIM. 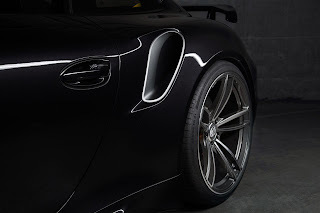 The car rides on the new five spoke TechArt Formula IV light alloy wheels measuring 21-inch. 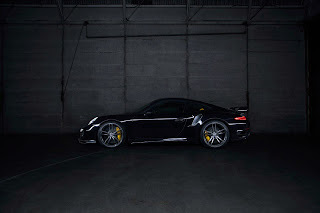 It has also been lowered and fitted with a new TechArt sport spring kit. More pictures in the gallery below. Stay tuned for more details!